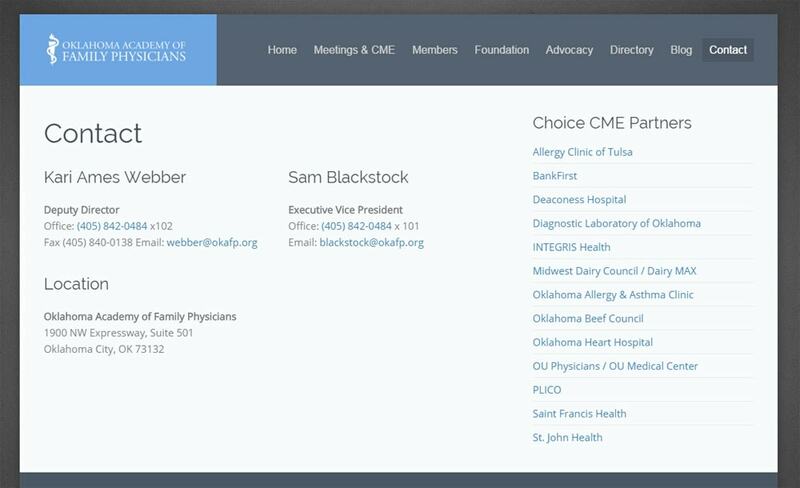 We helped our new client, Oklahoma Academy of Family Physicians, update and improve their existing site. It is our pleasure to work with this great organization. Call or email us today for a free consultation.